After all the safety instructions and a run through of all the significant features, Nicola ( our TM consultant ) shows me how to make vegetable stock, so easy and fast. Then I’m on my own. What shall I try first. 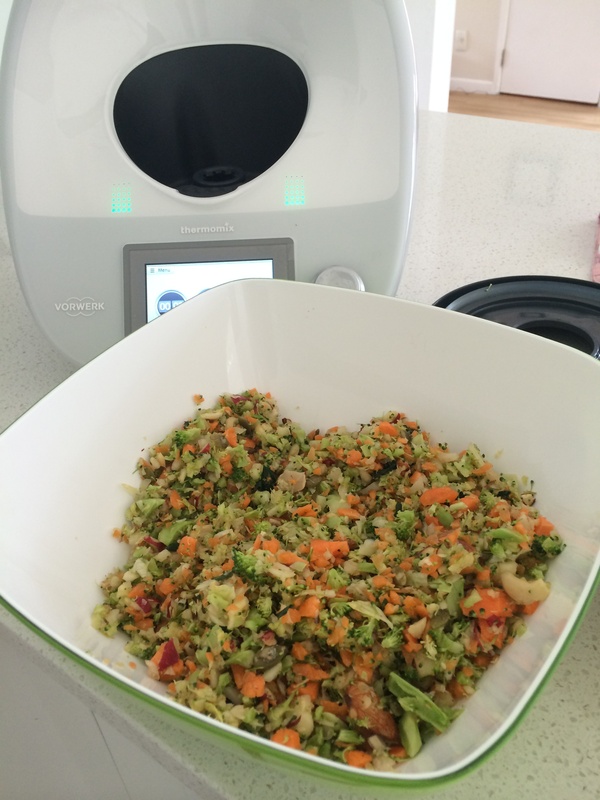 I picked a salad from the thermomix recipe community page. A spring cleansing salad. Mmmm, raw broccoli, carrot and apple. Here it is minutes later. Lunch done! < Previous Day one: The Tm5 has arrived !